You are currently browsing the category archive for the ‘Journal Tips & Techniques’ category. January’s just begun and so has the resolution making for 2014! Do you usually make resolutions for the year? I think most people really dislike making resolutions. The arguments usually go as follows: You can’t keep them. No one remembers them past January 2. You can probably fill in the blank with a lot more reasons not to make resolutions than to make and keep them. However. . . I have come to enjoy making resolutions. 2012 was the first year I made a list of resolutions and really took it seriously, and I feel like I accomplished a lot! I like to think of my resolution list as more of a long-term to-do list. A few goals, written down, to work on is never a bad thing. I didn’t wind up completing all twelve items on my 2012 to-do’s or even my 2013 list, but I did complete many of them and was encouraged to do so simply because I remembered what they were! How did I remember? I made a resolutions journal, which I wrote about some time ago. 1. Get a small journal or notebook you can carry with you. This past year I used a Jotter from Wit & Whistle. 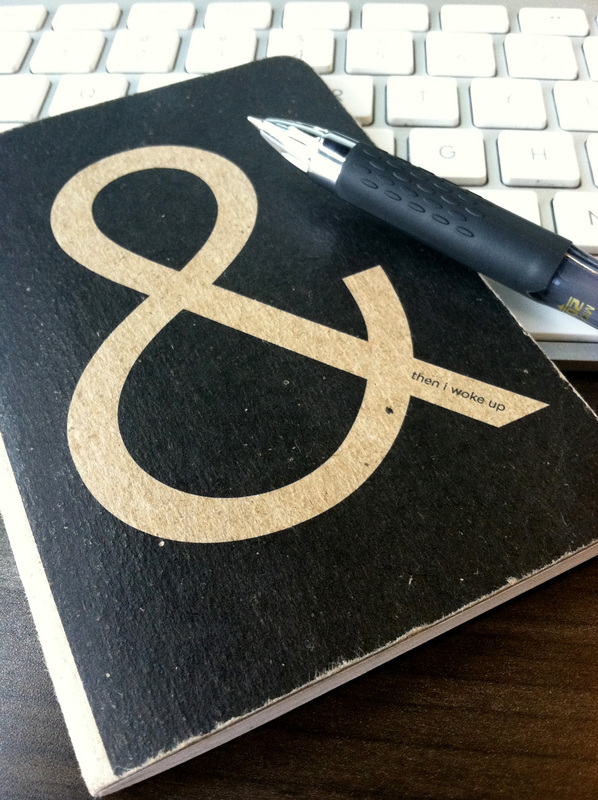 A small 3×5 notebook with a cute design works perfectly for me. I can carry it around and mark things off as I accomplish them. 2. Pick a number. Any number. Start small. 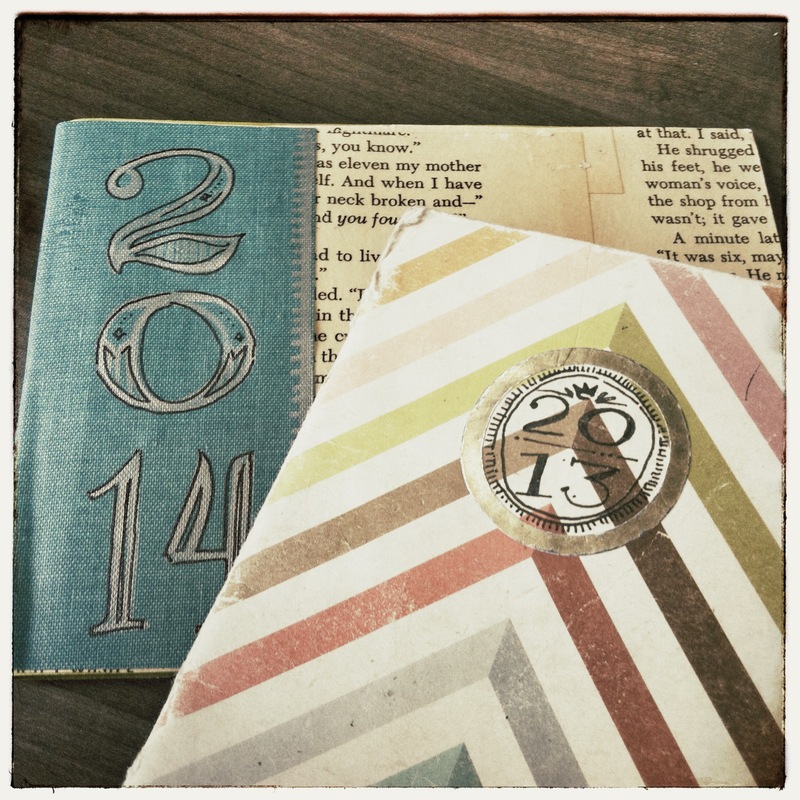 For 2013 I did 12, and I am scaling back to 10 for 2014. Might I suggest starting with FIVE? Five goals to accomplish this year. You can totally fit that into your schedule over the next 12 months. 3. Decide on what you’d like to accomplish in the coming year. Reading, volunteering, cleaning, hobbies, whatever. Designate one page of your book to each goal. 4. As you write out the goals, make them attainable and specific. Say you want to read more in 2014. A goal of “Read more” will have you making excuses all the way to December about the meaning of “more” (i.e. “Does one word more count?”). Saying you’ll read every best seller from last century will have you feeling overwhelmed. Think of what you normally do, and set your goal slightly ahead. If you read three books last year, you might formulate your to-do item as “Read six books by December 2014.” Follow it up with a list of possible books, and check them off as you finish them. To-do? DONE! 5. Leave space on each page to make notes about your progress or to fill in the date you completed the goal. Looking back to see what you’ve done will be more inspirational if you have a little of the story behind it. Finally, remember that these goals aren’t set in stone – You made them, and you can change them! I make a note at the end of my list not to feel bad if I don’t get every single thing on the list accomplished. Focus on what you DO get done instead and reevaluate the incomplete items at the end of the year as you think about your next year’s list. What do you want to accomplish this coming year? Blogging was definitely not on my resolutions list for 2012, as you can probably tell. But I may be back, thanks to a little prompt from a really awesome sister. For my first post of the year (in JUNE), I guess I’ll start off talking about my ACTUAL resolutions are for this year, and the process I’ve gone through to document those resolutions. First, I usually don’t keep resolutions because I forget what they are by the middle of February. A mini sketchbook from Ugmonk has been just the ticket for me to combat forgetfulness—I can carry the resolutions with me to keep them fresh in my mind all the time. Second, inspired by my friend Jeanne’s 25 by age 25 list, I decided that a numbered list of resolutions was the way to go—12 in 2012. 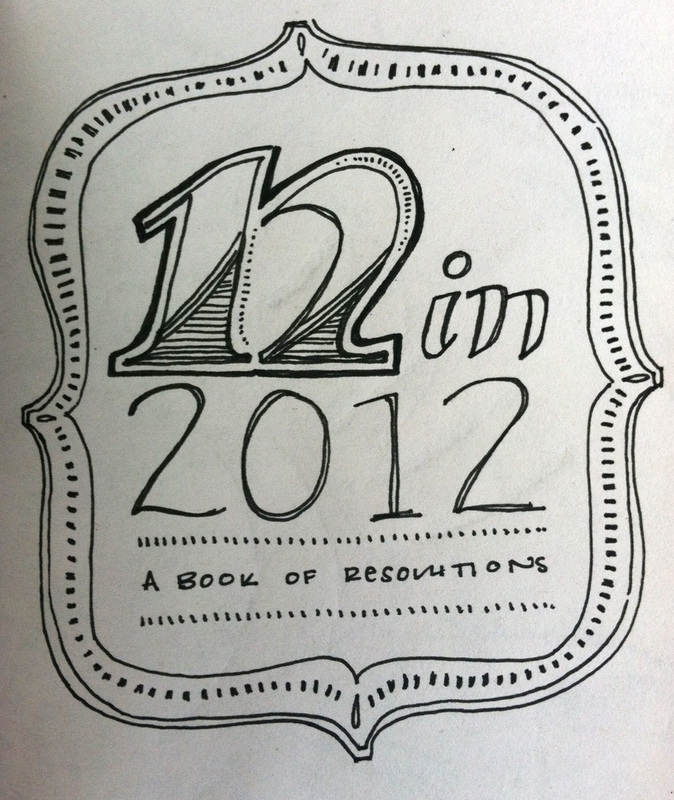 I sketched a set of pages in the sketchbook for each one of the twelve resolutions. 1. Read the ENTIRE Bible by Dec. 31, 2012. 10. 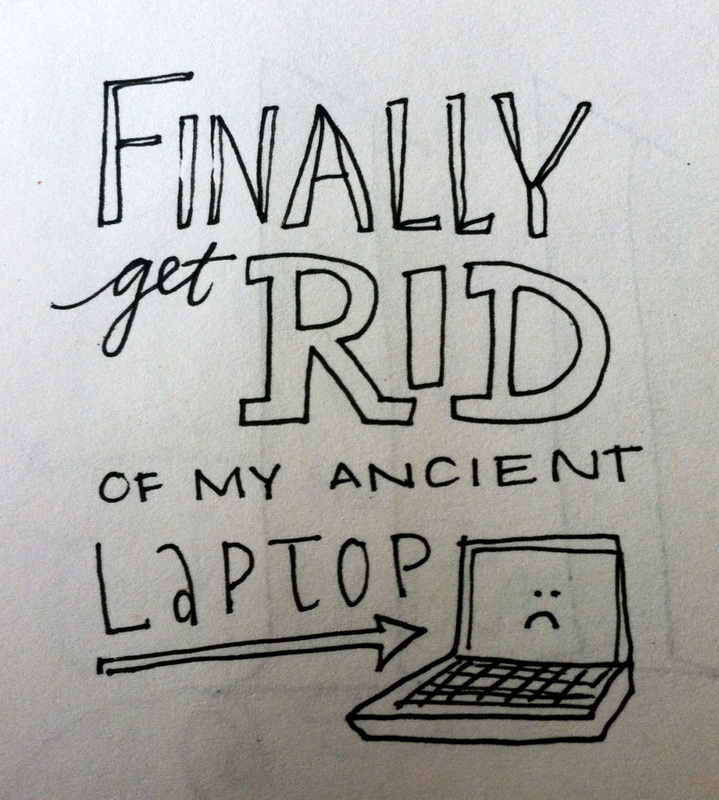 Finally get rid of my ANCIENT laptop. RECYCLE is the plan! And last but not least, number 12—celebrate 12-12-12 in style! I decided it’s not important that I finish all these resolutions; the important thing to me is having a goal to work towards. Hopefully I can accomplish a few of these, but if nothing else, the year will have been time well spent. A friend of mine, Cara Ansley, shared an article with me from the current issue of O Magazine—the Oprah Magazine. 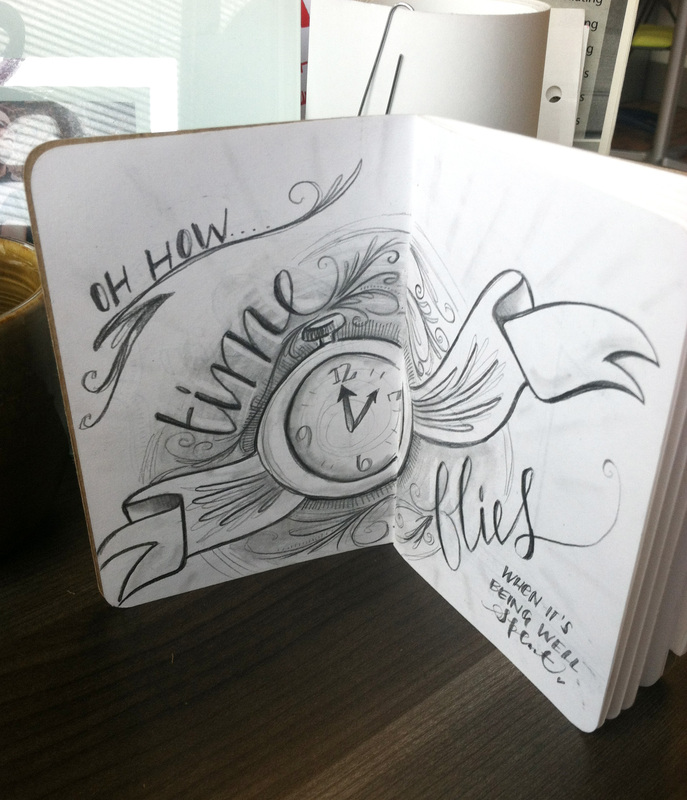 It gave a sneak peek at a few entries of Oprah’s journals. My initial thought was, “I thought Oprah would have nicer handwriting!” I enjoyed seeing this look into her personal thought life—what she felt as a teenager, her real thoughts and feelings, her experience during a movie shoot. I was talking to Stephen recently over coffee at Starbucks about how seeing people during their downtime makes them seem more real, more human. That’s what Oprah’s journals helped me see—that she’s just a person like anyone else! After not picking up my journal for about a month, I pulled the book off the shelf and opened it again to start sorting out some ideas that were going back and forth inside my head. I’ve found that writing with the intention of shedding light on what I’m feeling—just getting it out there and “talking” about it on the page instead of trying to keep things sorted inside my brain—is revelatory. Oprah said at the end of her article, “It’s astonishing to be able to track your own evolution—who I was, who I’m still becoming.” I could really relate to that. Between the last sentence of my entry a month ago and my newer entries, I could really see how I had come a long way in some ideas in just a few short weeks. Would I have realized that without a journal? Maybe. But it probably would have taken me a lot longer to realize that I’d gotten anywhere at all! So I’ll keep following Oprah’s lead and jotting down my thoughts—who knows where I’ll be when I can show 20+ years of journaling? You can read the article online and see photos of her journals here or pick up an issue of the April 2011 Oprah Magazine in your local bookstore. Does anyone have any big travel plans this year? It seems like several people I know are catching the pre-summer travel bug and already making plans for their upcoming adventures. Whether you are planning a few weeks abroad or a weekend getaway, you may want to consider packing a journal with you. 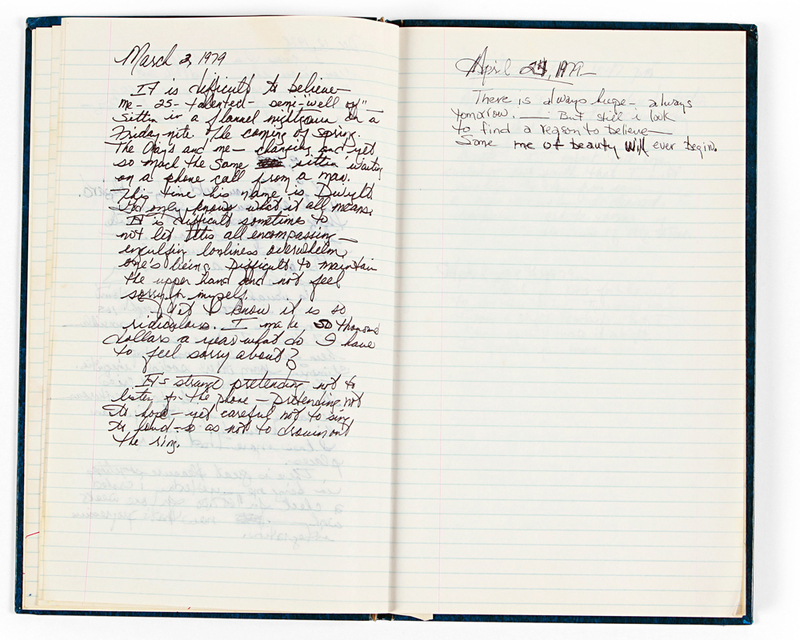 One purpose of writing a journal is to relive the new, exciting and unusual events that happen to us. What better moments to relive that times where you took a road trip, a cruise, a honeymoon or a weekend in search of the perfect Ikea chair? 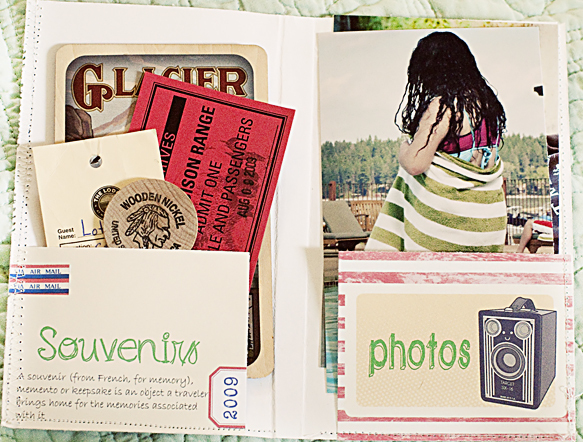 You can write them all down in your regular journal, or buy a special journal for each trip. Wikipedia calls it “a record made by a voyager”—that’s you! So fill your journal with sketches, clip in photos, write in notes, throw in brochures—anything that you want to remember most when you get back from your trip. You can even pair posts with photos you take and leave space to include those images later. I just started a small travel journal and have decided to dedicate a few pages per trip to sketches of my memories. Already it’s a great way to remember the small weekend trips my husband and I have taken, and I can’t wait to include our family vacation this summer. 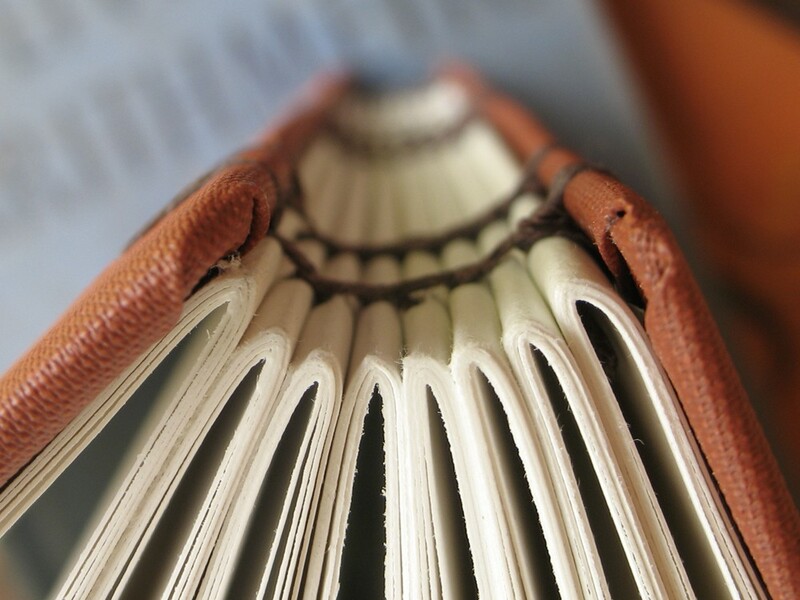 Need some ideas for your own travel journals? Check out Flickr for a ton of great ideas. Writing out thoughts and feelings can be a good exercise for your brain. If you think about exercising, you usually think about something, like weight or strength, that you need to work on. So—if your brain needs exercising, what does it need to work on? I know that a lot of time I need to work on being more thankful for the good things in my life. The small things and large things. The blessings that I don’t always realize. Thankfulness can be incorporated into your regular journal entries, or you could start a whole separate journal for it. For me, while I’m writing, I usually think of a few things I really appreciate about my life, people in my life, my work, etc. After I sign my entry (I usually scrawl my initials to signify the end) I make a short list of those things I was thankful for. It’s a joy to go back and remember the small and big things that don’t always cross my mind. The other day my list read like this: ” Thankful for: a husband who talks to mechanics, a warm office, brisk walks with iTunes, friends back in town.” I wrote that two days ago. I had already forgotten about that walk listening to iTunes. Reading the entry made me thankful for that 20 minute walk again and brought a smile. Get a small-ish journal. Keep it in your bag, on your nightstand, or anywhere that is accessible for you. Each day, take up the journal and write down one thing that you’re thankful for. Your entry can be one sentence, one paragraph or one page writing about one blessing or good thing and why you’re thankful for it. Take a set number of minutes each day and record a list of things you’re thankful for. Think of anything and everything. Write freely for those 5 or 15 minutes. It’s my diary – KEEP OUT! Typical response, right? When I think of diaries, I think of locks, keys, disguises and hiding places that are all meant to keep out the impostors who might traipse into intimate thoughts and feelings not meant for them to read. I’ve had my share of diary drama over the years, so I know a little something about what you should know when you keep a diary or journal. Don’t write about anything you wouldn’t want someone else to read. While it’s your journal and private and no one may ever read it, always write thinking that one day, someone could read it. Think of it this way, if you ever become famous for any reason, would you want someone to know once heart felt and secret details of your junior high or high school crushes? Probably not. Don’t use fake names or try to be tricky. Odds are the reader could figure it out (even if it takes a little wikipedia reasearch on your future famous bio page). Don’t write anything you wouldn’t want someone else to make public. Don’t write anything about anyone that you wouldn’t tell them to their face. Similar to the rule one, rule two protects you from embarrassing yourself later with information you didn’t mean to get out in the public eye. Regardless of how you feel about the person you’re writing about (you like them or don’t like them), words can hurt—them and you. Never write when you’re upset. 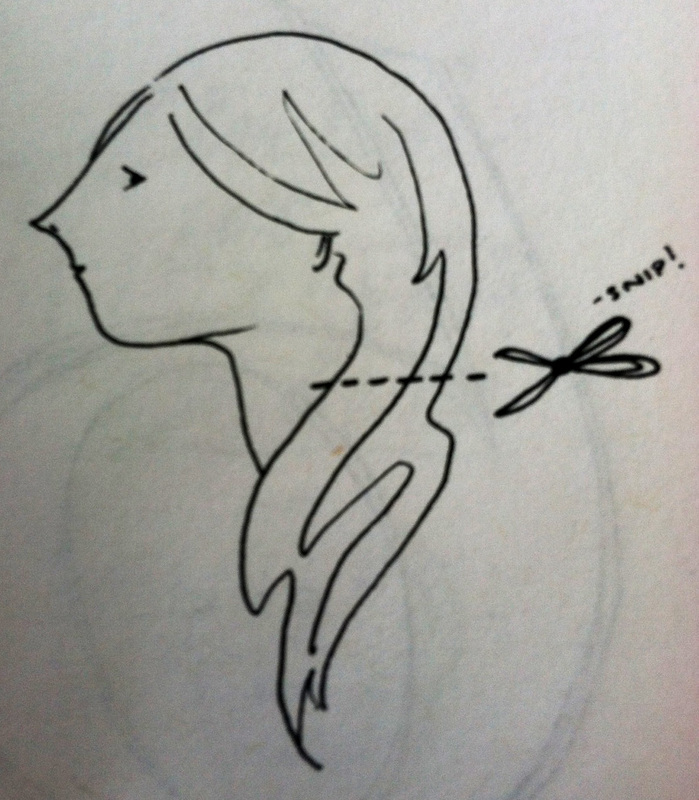 Upset sad?—don’t write. Upset mad?—don’t write. Upset you’re-not-sure-what’s-wrong-but-you-just-feel-upset—don’t write. You run the risk of hurting someone’s feelings whom you would never want to hurt otherwise. Humans vocalize a lot of things they don’t mean when they’re in a less than sunny disposition. You’ll put down more than that on paper if you’re writing when upset. If you think these rules limit you to the weather and what your cat did in the afternoon, think again. You are an interesting person and there are fascinating events going on all around you. Look for the little moments that mean something to you and write about why they are meaningful. Did you learn something important that one day may help your kids? Write about it. Anything of interest in national or world news today? Record it and your position on it. Your diary is a place where you can go back and remember what your life was like 1, 5 or even 10 years ago. Have fun with it. Make it yours. Follow the rules.